We are producing the wide assortment of moulded HR foam for office and upholstered furniture. Furniture used in offices and public areas require foam solutions that can tolerate hard use over long periods of time. Foam moulded foam technology guarantees always exact shape, easy controlled and adjustable hardness and density of the foam. We supply a range of qualities from 40 to 70kg/m³ that are ideal for office chairs, and which enables the furniture to maintain their shape, firmness and guarantees the sitting comfort over time. 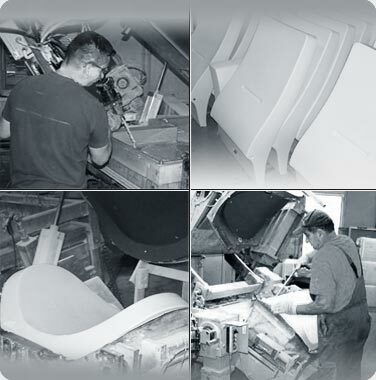 Moulded foam parts can be produced with steel, plastic and plywood inserts that allows assembling parts easily into whole furniture groups.